Training Philosophy - Why Denver Divers? Denver Divers are committed to creating life-long snorkelers, free-divers and scuba divers through our unique approach to teaching through experiential learning, travel, and a premier selection of retail items to fit almost every water-lover's needs. Denver Divers offers a full range of classes from snorkeling to full scuba certification and beyond. 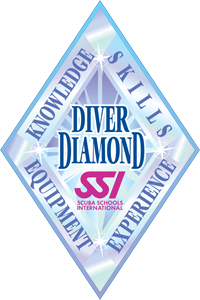 Because of our commitment to safety, we are also an Instructor Training Center for Scuba Schools International. By investing in our instructors and trainers and by providing exceptional training equipment, we are investing in you. Our mission is "to be recognized as the premier, environmentally responsible aquatics center in the Rocky Mountain Region by delivering exceptional training, retail, and travel experiences." Why Learn at Denver Divers? Our class tuition includes all required pool equipment rental so you can learn in a stress-free environment. Our students have lifetime access to the pool, a benefit not offered by most other dive centers. We offer free, dive leader-led pool practices – an opportunity to practice your water skills before you complete your open water certification dives. We offer flexible scheduling and can accommodate any schedule. Our on-site warm (88F/31C) salt water pool was designed as a scuba “tank”, ideal for scuba training. We have both Nitrox and air fill stations on site where we regularly test our air to maintain above average quality. Our instructors are directly affiliated with the shop, allowing us to ensure continuing education and hands-on oversight for training. Denver Divers’ student-to-instructor ratio is never more than four-to-one for open water diver students.